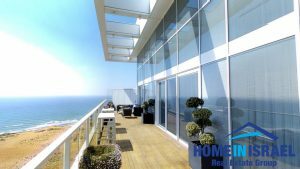 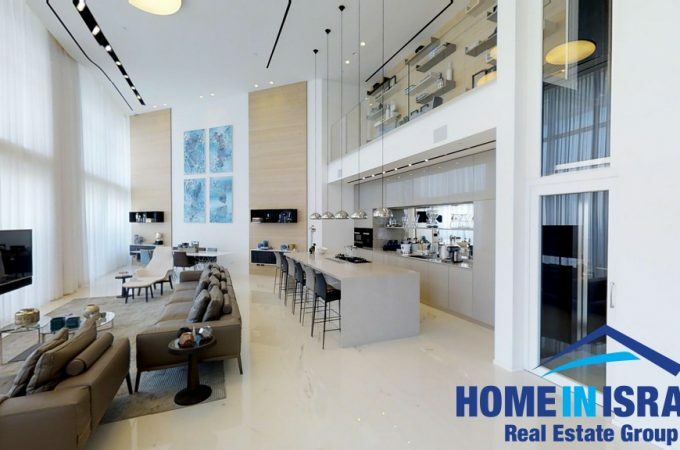 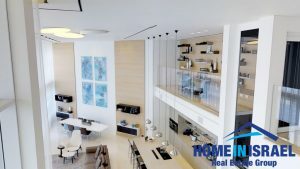 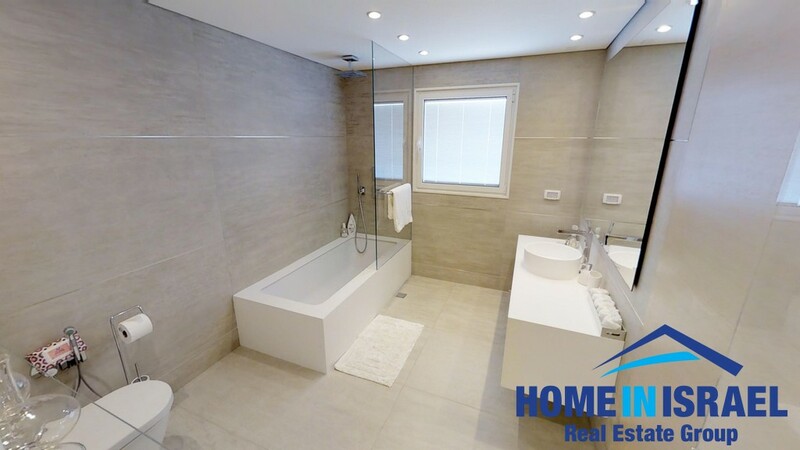 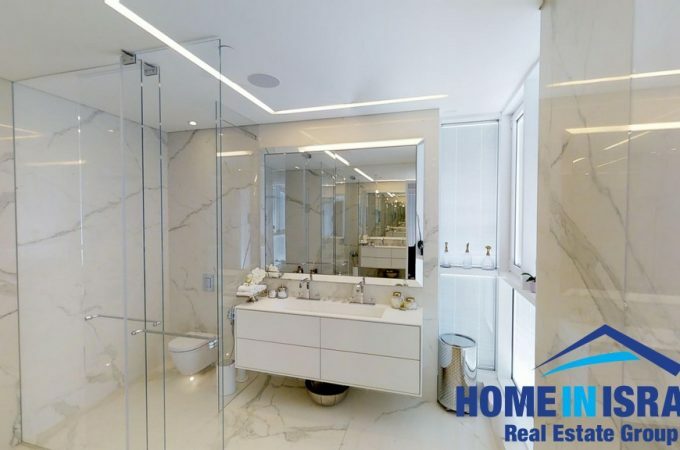 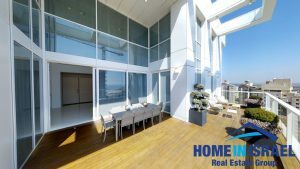 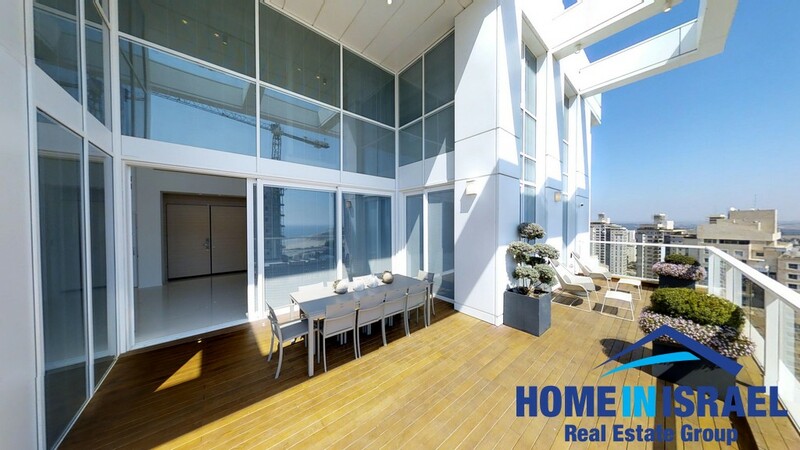 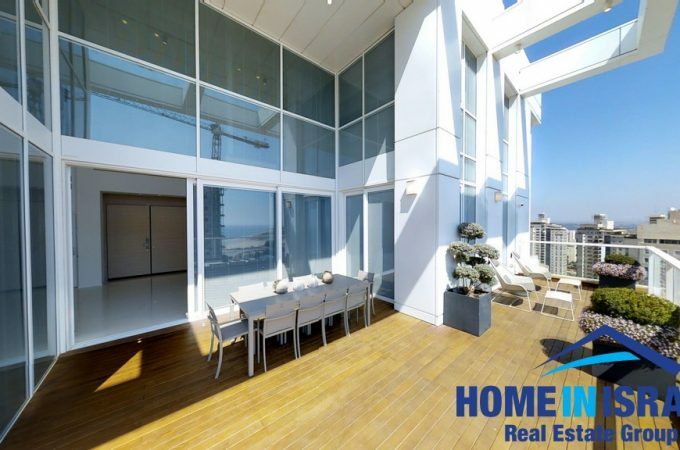 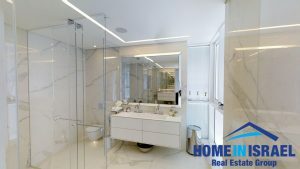 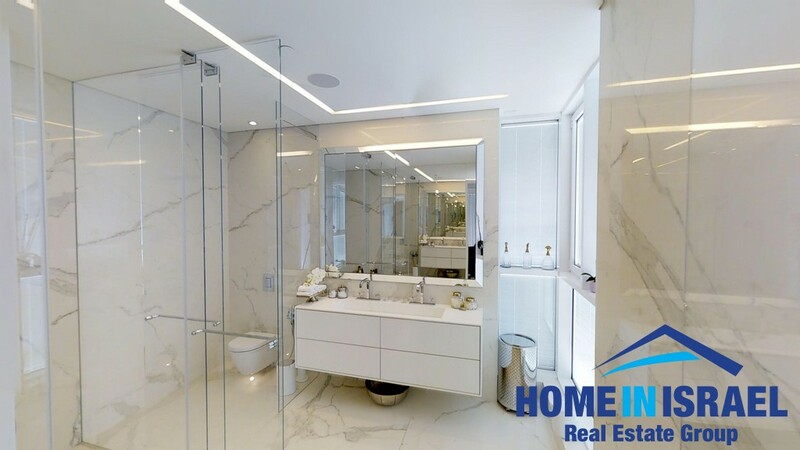 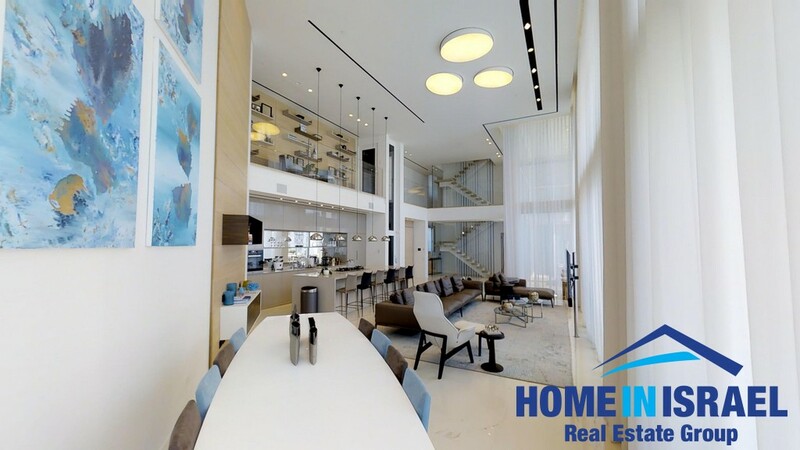 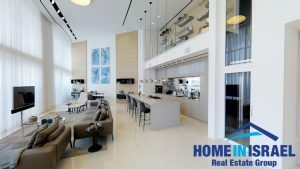 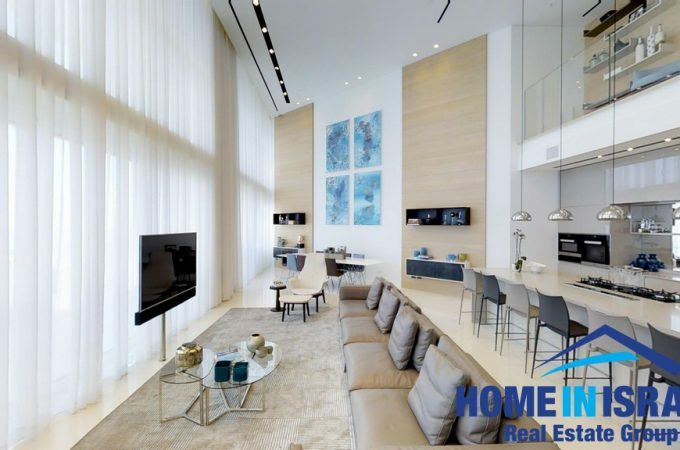 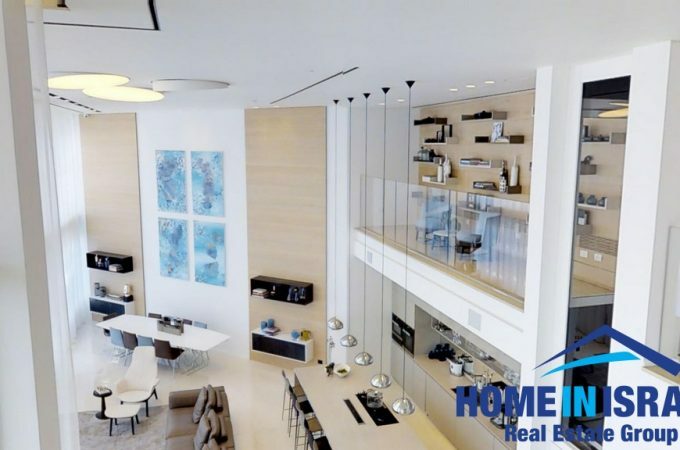 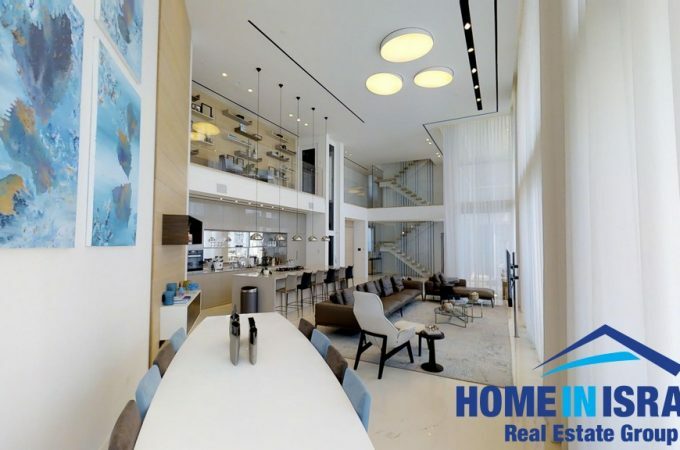 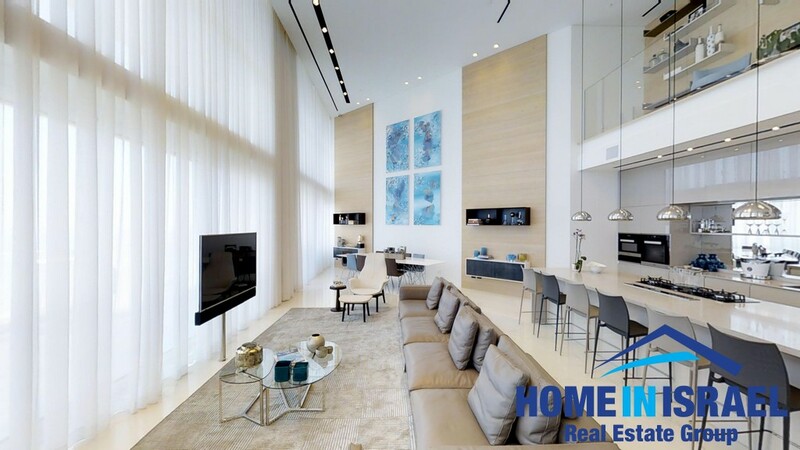 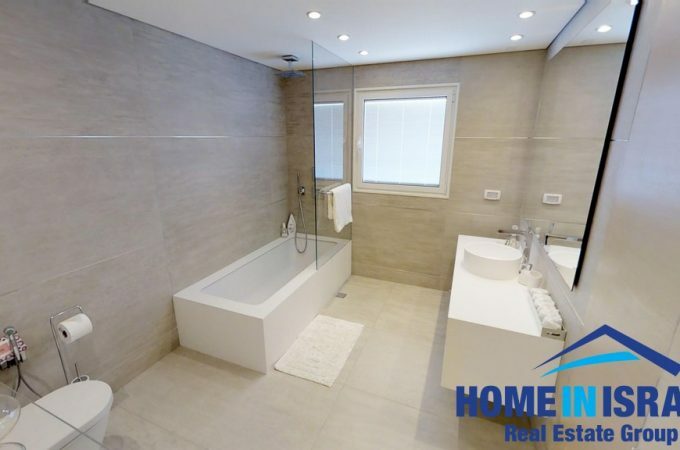 This magnificent penthouse/triplex is situated on the top floors of Netanya’s most prestigious complex “Yam” situated in Ir Yamim. 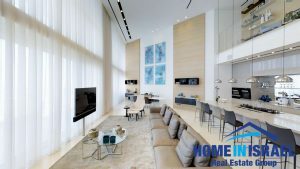 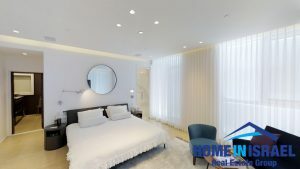 600 SQM of beautifully designed living space and balconies. 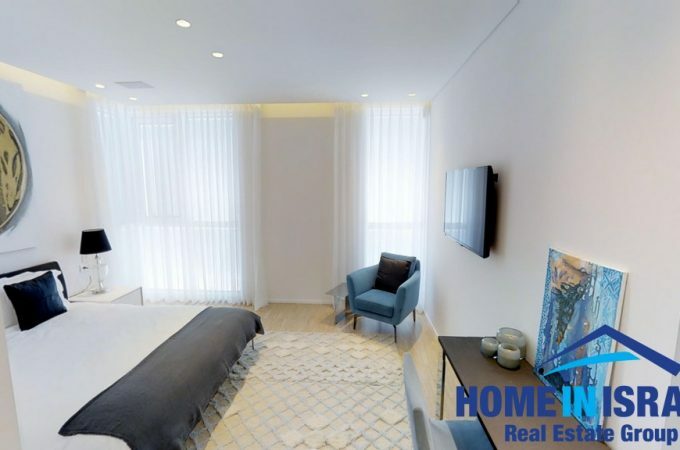 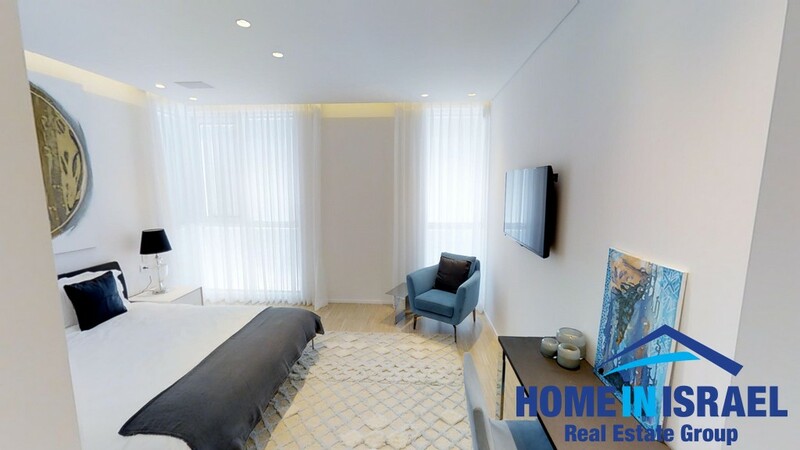 The beautiful Penthouse has 4 en-suite bedrooms and plenty of open living space. 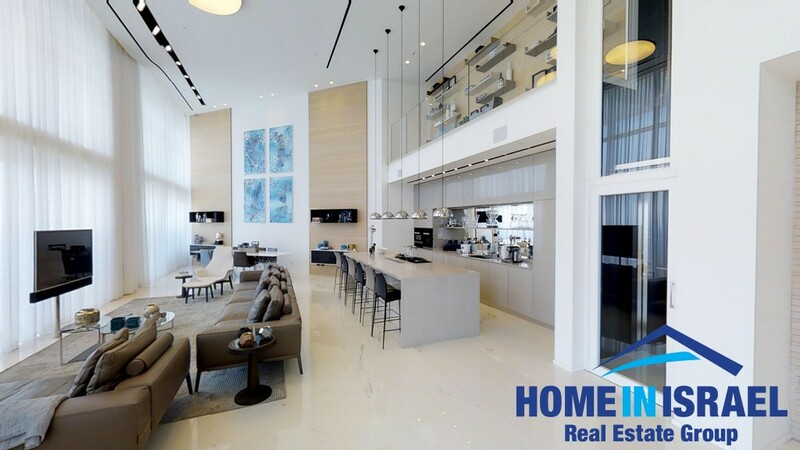 The open American kitchen is planned to perfection and fully equipped with the best appliances. 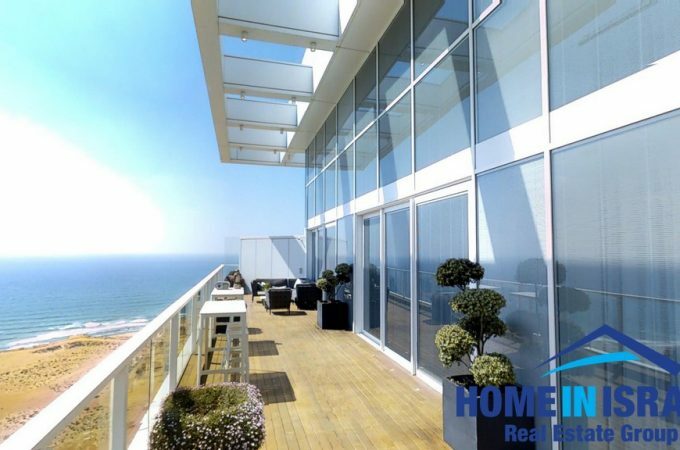 Stunning open sea view from all balconies. 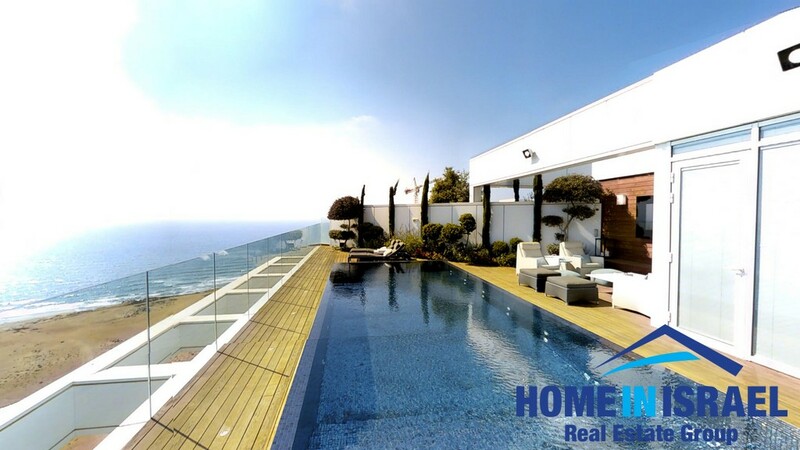 The top roof offers a wonderful leisure area with a private swimming pool, sauna, outside kitchen and changing rooms. 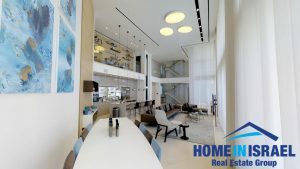 80 sqm private office in the lobby area. 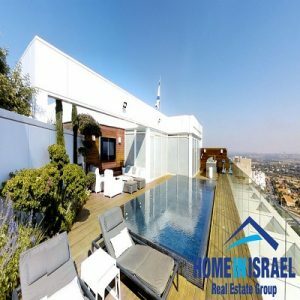 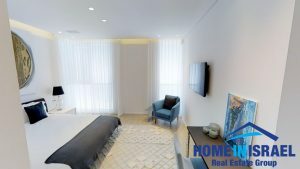 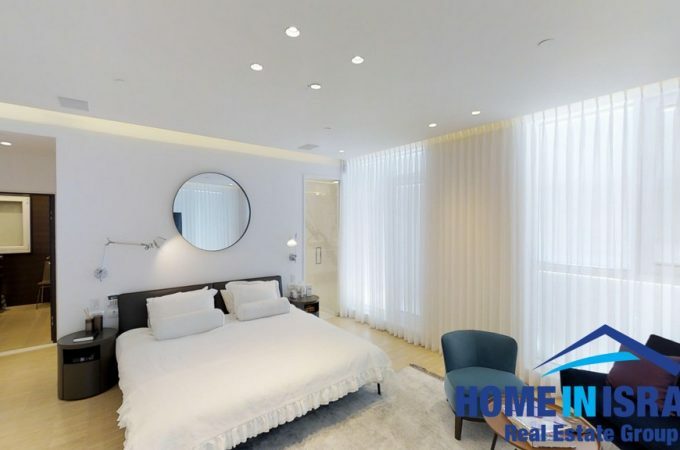 The building is rich with amenities – Indoor swimming pool, synagogue, sauna, jaccuzi, kiddies room, tennis court and tenants lounge.